Orion Hotel Vladimir, Hotel Russia. Limited Time Offer! Orion Hotel. "Orion Hotel" has obtained 3 stars. Located in the downtown area of Vladimir, this residence makes a well-chosen base for visiting the area. Don't forget to taste the Russian, regional and international specialties of the onsite restaurant. The bar is modern. A continental breakfast is served each morning to offer you a good start to the day. Business people will appreciate that Internet access is offered free of charge. 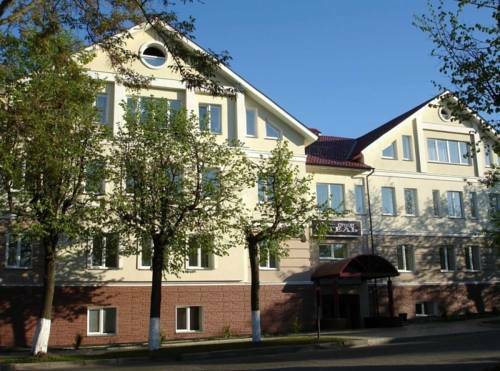 The Vladimir Hotel is located less than 5 km from the Klyazma River. It has a restaurant that serves Russian and European cuisine and offers free Wi-Fi in public areas. Prince Vladimir is a modern 4-star hotel in the ancient town Vladimir. It offers spacious accommodation, an open summer terrace, 2 bars, 1 restaurant, and a variety of services.